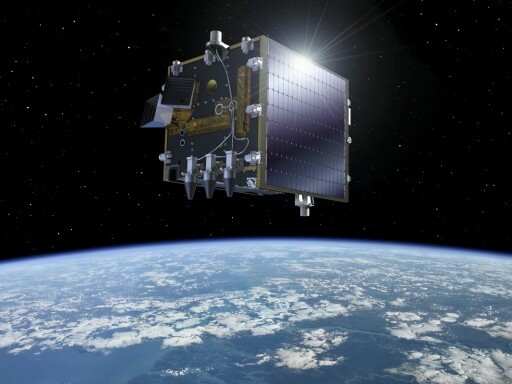 Proba V – the PRoject for On-Board Autonomy – Vegetation, is the fourth satellite in the Proba series of the European Space Agency. 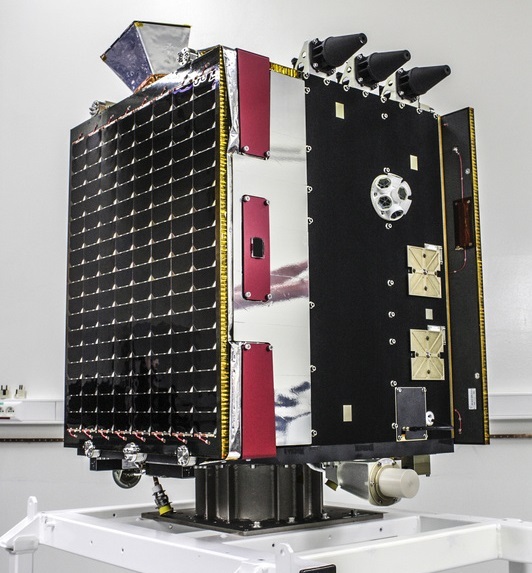 The satellite was built by QinetiQ Space, Belgium and weighs about 160 Kilograms. It is 76.5 by 73.0 by 84.0 centimeters in size and features a three-axis stabilized platform and fixed body mounted solar arrays. The satellite structure is made from aluminium and carbon fibre reinforced plastic (CFRP) material. The satellite’s control system consists of a star tracker, GPS receivers, a magnetometer and magneto-torquers. 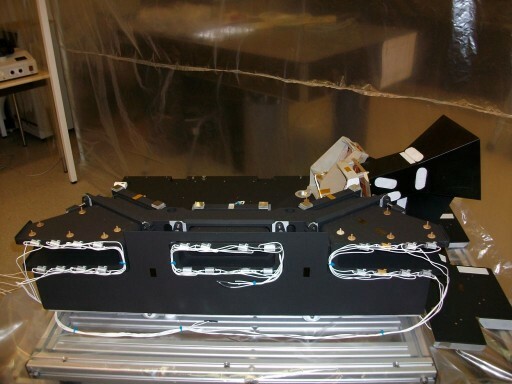 The optical payload is mounted on an optical bench to avoid temperature related deformations. The vehicle hosts an optical payload similar to that of the larger SPOT Earth observation satellites and will demonstrate its functionality on a small satellite bus. The payload uses aspheric aluminum mirrors in three telescopes with overlapping field of views of 34 degrees to create an imager payload with a field of view of 100 degrees. The focal length of the imager is 110 millimeters. Proba V features three long 1024-pixel short-wave infrared detectors with an 80-pixel overlap. The imaging payload observes a ground swath of 2250 Kilometers. From its orbit, Proba V provides daily coverage of 90% of the equatorial regions and 100% daily coverage of regions above and below 35°. All locations of the world are imaged at least once every two days. The imaging payload has a maximum resolution of 100 meters. The satellite uses indium gallium arsenide detectors. To store the data that is acquired by the imaging payload, the vehicle uses a 16-Gigabyte flash memory. An X-Band communication system is used to downlink data to the mission’s primary ground station. The satellite will provide worldwide vegetation data, track extreme weather phenomena, alert authorities to crop failures, monitor water resources and track the spread of deserts and deforestation. In addition to the optical payload, the satellite hosts technology demonstration payloads. The Energetic Particle Telescope is an advanced radiation detector that will measure the energy, angle and mass of energetic particles in the satellite’s vicinity. 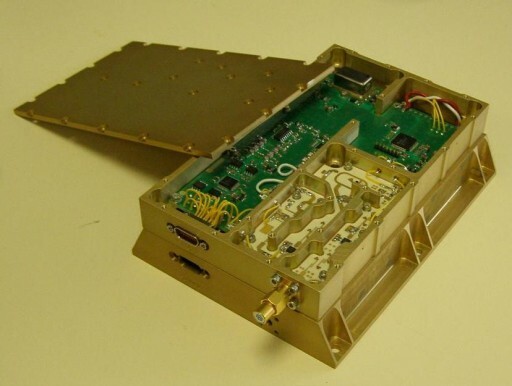 The second demonstration payload is a gallium nitride amplifier that is incorporated in the Proba V communications subsystem. GaN is considered to be the most promising semiconductor since silicon because it can operate at a higher power and temperature while being radiation resistant which is an important aspect in space technology. Other guest technology payloads on Proba V include an ADS-B aircraft signal detector and a fibre optic photonics experiment. 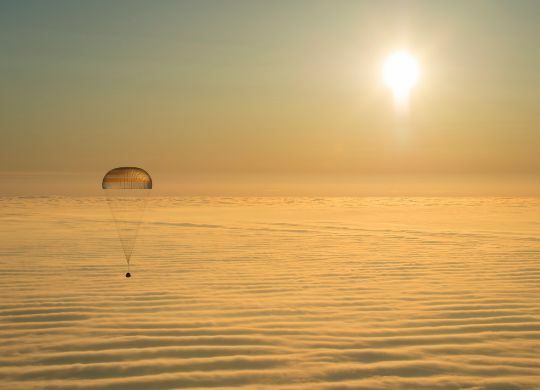 All demonstration payloads will be tested in the space environment to gain insight into their functionality and possible application for future missions. Proba V will operate from a 820-Kilometer Sun-Synchronous Orbit at an inclination of 98.1 degrees, crossing the equator between 10:30 and 11:00 local time. The satellite has a design life of 2.5 years with a possible extension to 5 years. Proba-V uses a single fault-tolerant architecture with total systems redundancy.